- Contains nature derived moisture ingredients [Propolis extract, honey extract]. - Rich nutrition and moisture for soft skin care. - Gold complex moisture nutrition gives preservative effect. Extend the period of use with gold complex not with chemical preservative. - Soft and silky natural pulp is thinner and mild than synthetic pulp. High fit and high essence absorption. 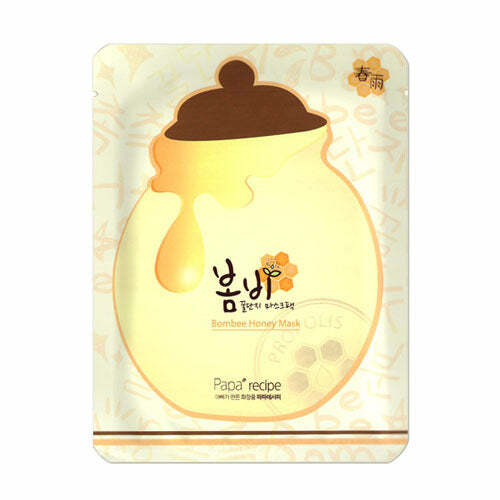 - Natural eco friendly pulp gently on skin with irritation reduced. 1. After face wash remove film and place mask on the face. 2. Remove after 20~30 minutes and tap essence for absorption.